I'm considering making my first quilt sometime in the next few months. Basically, I want a quilt on our king sized bed that reaches all the way to the ground.... I just finished my first rag quilt and used solid flannel instead of batting. I cut the flannel the same size as the other squares so there was 3 layers of fringe. It worked great. I only used 1/2 inch seams. 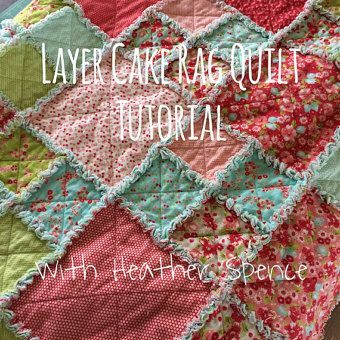 There are many tutorials on the internet for making rag quilts and the base for them all is a front and back for each square and a slightly smaller square of batting that you'll sandwich between them. This is the traditional, normal way to make rag quilt anyway. For the border rectangles, just sew a straight line down the middle, lengthwise. Corner squares get an “L” as shown in the picture.